On October 9-10, 2018 І International conference “ Public and legal aspects of education in XXI century. 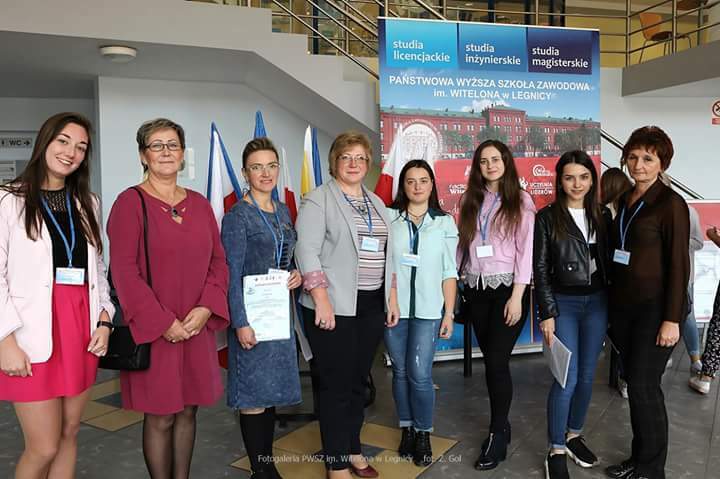 Risks, expectations, challenges.” was held in the State Higher Vocational School of Witelona in Legnica. Our university was the co-organizer of this event. 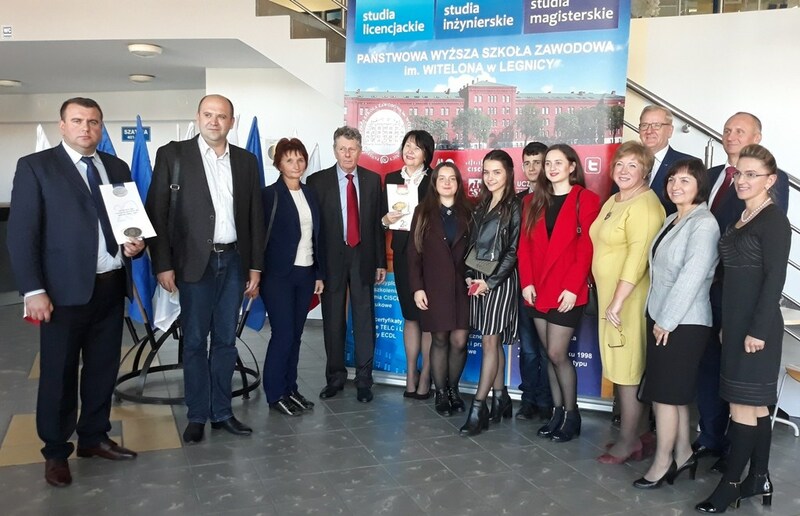 The conference was held under the patronage of Mark Mikhalyk, – the representative of child’s rights in Poland, Janina Mazur – the burgomaster of Legnica and Professor Richard Pisarsky – the rector of the partnership organization in Legnica. 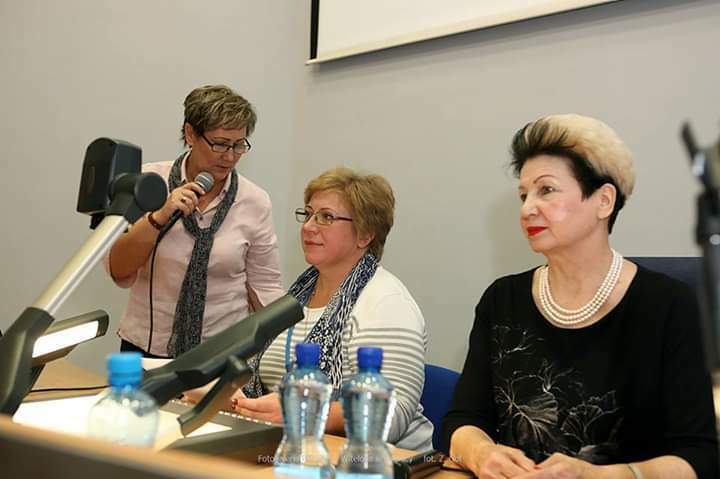 The Rector of Ivan Franko DSPU Professor Nadiya Skotna was a member of honorable conference committee. Representatives of Drohobych delegation were the Rector Professor Nadiya Skotna, the Vice-Rector for Science and Education, Assistant Professor Yuri Vovk, the Professor Svitlana Shchudlo, Assistant Professors Oxana Zelena and Lubov Havryshchak, and also students Mariia Futysh and Mariana Hryno (specialty ‘Sociology’), Mariia Mikalo (specialty ‘Practical psychology’) and Nazarii Yurchyshyn (specialty ‘History’). At the opening of the conference the Rector Professor Nadiya Skotna took the floor to greet the participants. 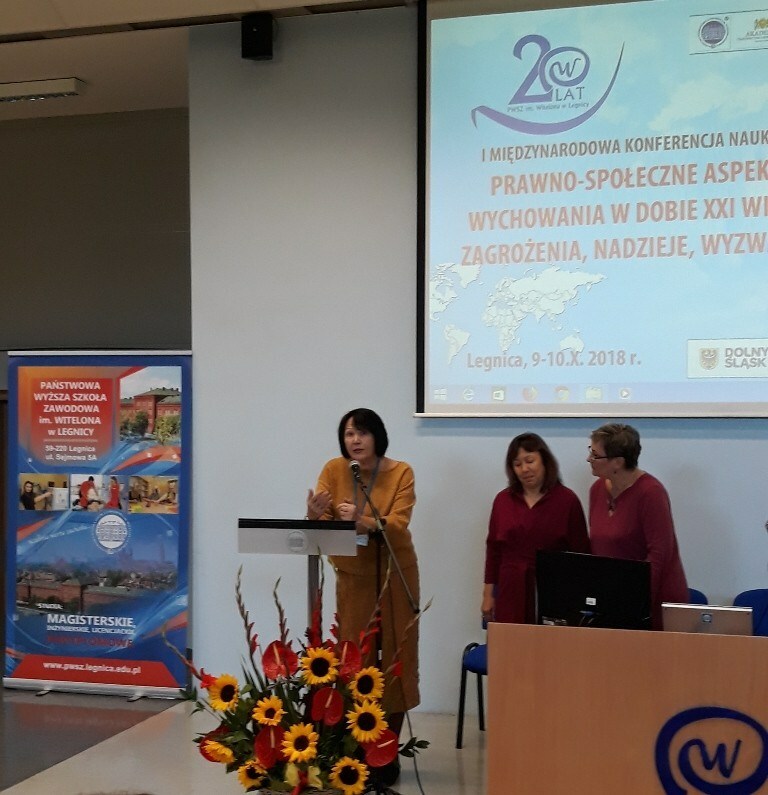 Professor Svitlana Shchudlo was the moderator of two Sectional Meetings as well as the representative of the Polish-Ukrainian Project on the theme : ” Mental health and threatening behaviour of young people: comparative analysis”. Assistant Professor Oksana Zelena represented the report : “The political culture of the youth and the prospects of democracy in Ukraine”. The report made by Assistant Professor Liubov Havryshchak was dedicated to new forms of psychological addictions of youth. 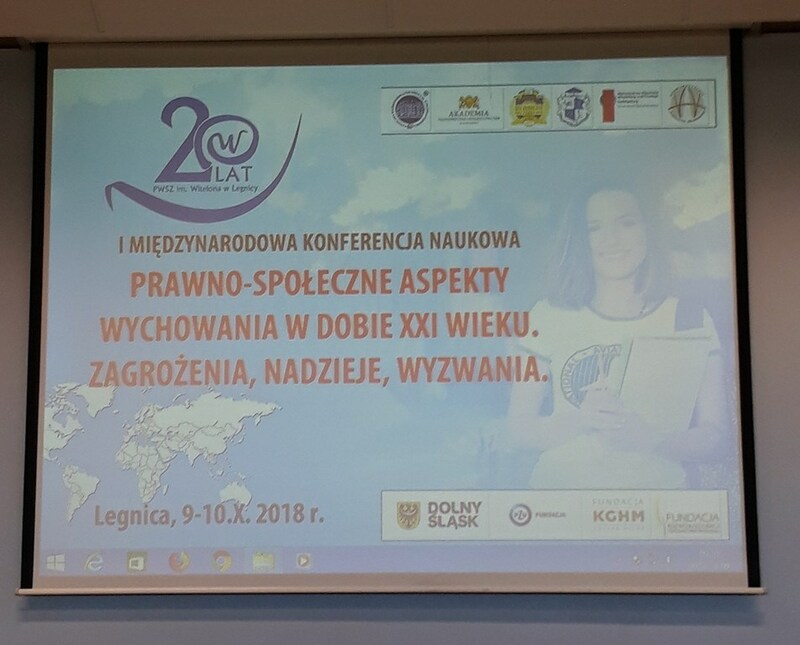 The active participants of the conference were our students as well, whose reports were highly estimated by the Polish colleagues. 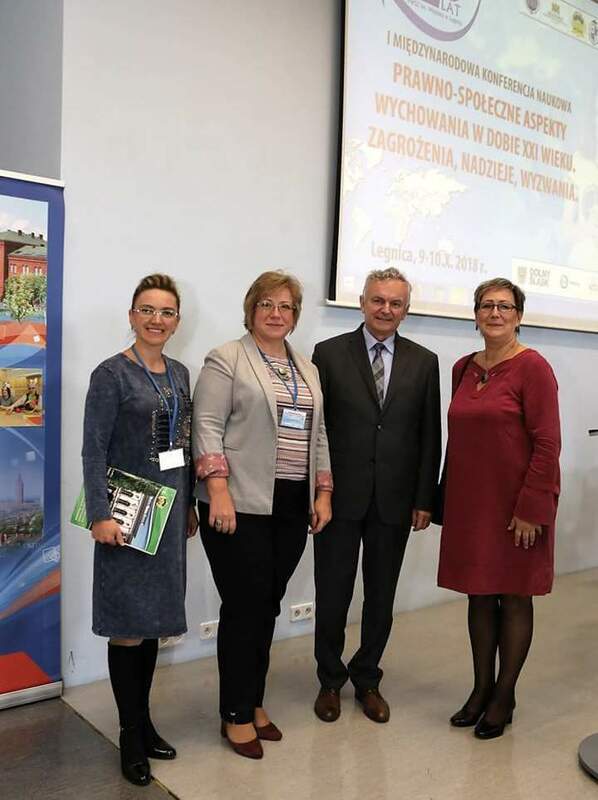 The Scientific management of the students was conducted by Professor Svitlana Shchudlo, Assistant Professor Oksana Zelena, Assistant Professors Ruslan Komarnytskyi and Valentyna Stets. 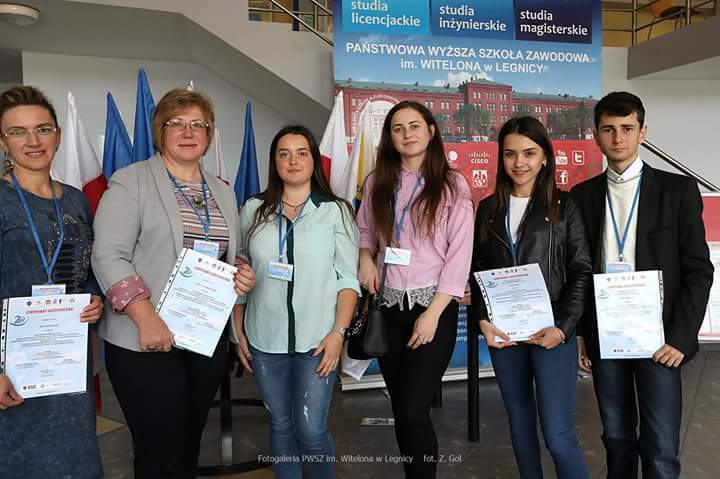 All participants’ reports were submitted to be printed in scientific publications of High School in Legnica. At the final meeting the participants expressed the interest in conducting the further conference in Drohobych University. In conclusion, the high scientific level of the conference, good organization and meaningful discussions should be noted. The excursion to the historical places of the city of Legnica gave the conference a good atmosphere. We are grateful to the partner educational institution run by the Rector Professor Rishard Pisarskyi , the conference organizer Doctor Beaty Skvarek and the sponsors of that event for organizational and financial support of the Ukrainian Party and the opportunity to participate in that international scientific event.